Peter van der Hoest is a PhD candidate at the National Graduate Institute for Policy Studies (GRIPS) and resides in Tokyo, Japan. His doctoral thesis focuses on the development of a “China threat” discourse in Japan and India, in official documents as well as in the media. Before joining GRIPS, Peter worked as a journalist on maritime and naval affairs and as a policy officer at the Dutch government. During his time at the government, Peter worked as a policy officer on civil-military cooperation in crisis management and later as a research advisor for national security at the Ministry of the Interior. In between, Peter was seconded as a researcher to political section of the Dutch embassy in Tokyo. 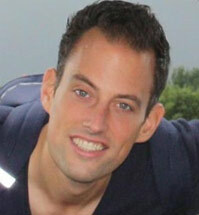 Peter holds a MA in international relations from Utrecht University, the Netherlands and a MPA from GRIPS.